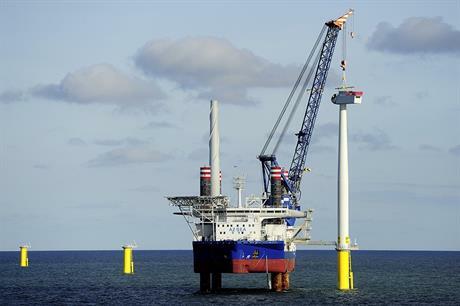 DENMARK: Leading offshore wind developer Dong Energy had a strong first six months, on the back of a 61% increase in revenues for its wind business. Revenue in the first half of 2016 was DKK 12.3 billion (€1.65 billion), up from DKK 7.6 billion in the same period last year. Dong said the increase was due to contracts for the construction of Gode Wind 1 and the Burbo Bank Extension offshore wind projects. Revenue from construction contracts doubled in the first half of the year, the developer said. Addional capacity from its Westermost Rough and Borkum Riffgrund 1 projects increased revenue from O&M and power purchasing. Overall, however, power generation was down 3% year-on year, with the biggest fall coming from its Danish projects "due to lower wind energy content", Dong said. The wind business' pre-tax earnings (Ebitda) was up 68% to DKK 5.2 billion driven by the divestment of some projects. In February 2016, Dong sold a 50% stake in its Burbo Bank Extension project to pension fund PKA and investment firm Kirkbi. The Dong Group overall saw Ebitda increase 19% to DKK 12.4 billion despite its oil and gas business experiencing a fall of 48% in earnings. It was Dong Energy's first financial results announcement since its inital public offering on the Nasdaq stock exchange in June.